Top Barbecue Recipes for Father's Day, Fourth of July you name it. Top Barbecue Recipes- Grilling Season Has begun. Summer barbecue season has begun and although many people stick to hamburger and hotdogs I thought we should share some tried and true yummy Barbecue Recipes from my blogger friends! Sit back grab yourself a cold one as you heat up your grills. 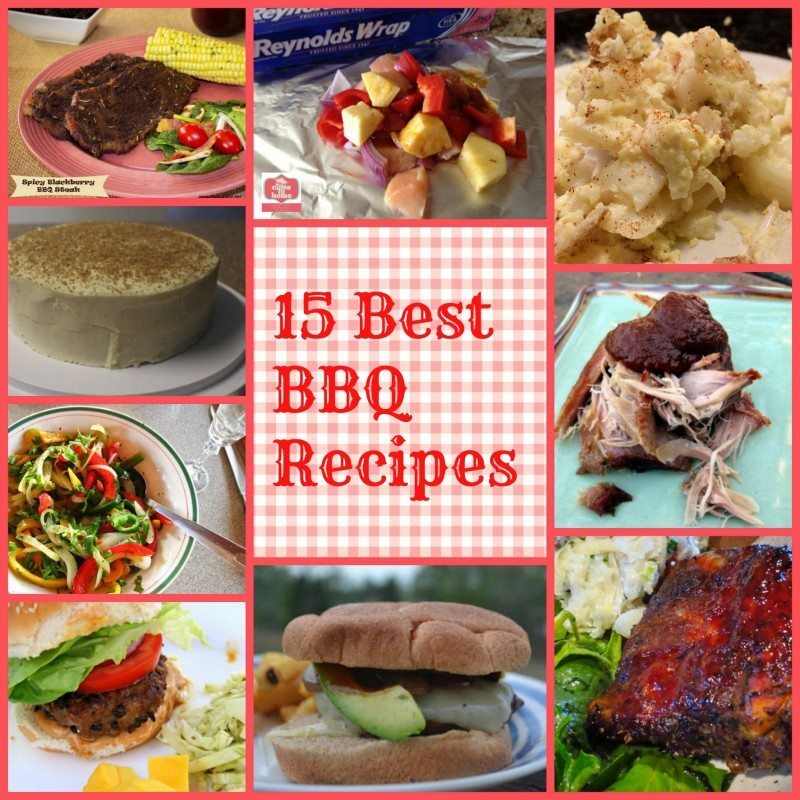 My guess is that you will be spending sometime outside cooking up these great BBQ recipes. Whether you are getting ready for a Fourth of July party menu or just having a group of friends or family over, it is nice to mix things up a bit. Don’t do all the work yourself, have a pot luck BBQ and provide your chefs with some inspiration by sending them some recipe ideas. How about a side dish of Grilled Corn Recipe from Mommy’s Menu. Grilled Pizza Recipe from Close to Home’s archives. How does the grilling in your house? Do you have a favorite recipe? Leering I loved making the BBQ kebab packets as everyone could add what they like. Great for parties or kids! Oh this just made my mouth water! What a fantastic list! Yum! Thanks for all the links to those wonderful recipes! Now I have a lot of BBQ-ing to do this summer! Those look delish!! !Those Kebab foil packets are calling my name! Awesome post! I found a few things to add to my father’s day menu! Great recipes. I intend to try a few of these. Thanks for sharing. Oh my goodness all of these recipes sound so good I don’t know what I want to make first! I am all about passing the grilling duties when they can, gives me a break in the kitchen, thanks for stopping by. thanks for stopping by, happy grilling! These recipes all look awesome! I will bookmark this. Thanks for compiling them. I love doing pulled pork in the slow cooker for BBQs… saves us time and makes it so that we can spend time enjoying company! Oh this is great! I am totally pinning this right now 🙂 I love summer BBQ ing! ut give him food and a grill, and it is amazing. No grilling here unless you consider the over the stove burner one I bought about 7 years ago! Apartment living with no patio has its drawbacks–and although my friends do bar-b-que I won’t be going up there this time around! All those recipes do sound very tempting! !